For many people, the biggest hurdle to saving is getting started. Looking at a zero balance and trying to picture how that could become a much bigger number can be a huge obstacle. 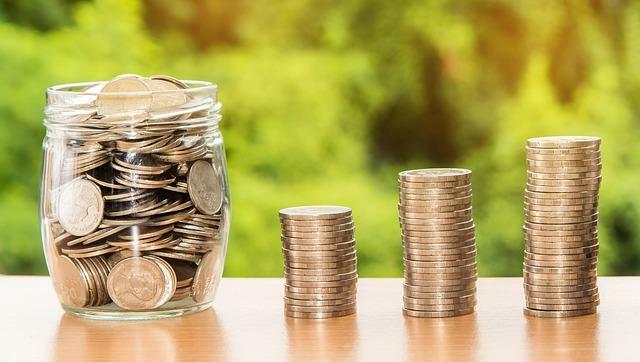 No matter where you are financially, there is usually a lot of concern and self-doubt around saving; whether it’s how much you can afford to save, if you need to save more, if your savings invested properly, if you’ve saved enough, or if it’s going to last. Recently, there was massive backlash on Twitter after an article ran on Marketwatch stating that you should have twice your yearly income saved by the time you are 35. The reasons given ranged from emotional to completely ridiculous. This backlash got us thinking about the practicality of this advice. Was this goal even possible, and what would it actually take to accomplish it? As Certified Financial Planners™, we felt that we were in a position to answer this question with some solid analysis. We wanted to take a look at what it would actually cost, per month, to accomplish this goal. Yes, twice your yearly salary sounds like a lot, especially when you are thinking about how much you are saving - or how little you are saving - now. If it sounds overwhelming, don’t worry, you’re not alone. You are with thousands of others who read the article and said that there is no way this could happen. We have some good news for you. Let’s take a newly graduated 22-year-old, we’ll call her Jenny. Jenny is just starting out and has landed an entry-level position in her degree field with a $25,000/year salary. She even has a guaranteed annual raise of 2% if she passes all her quarterly evaluations. She’s super excited and wants to start saving immediately to reach the twice her salary goal by 35. Jenny doesn’t know much about the different savings vehicles there are out there so she just transfers money from her checking account into her savings account each month. To have twice the salary that she will have at 35 in her savings account (assuming she gets all of her 2% annual raises), she will need to start by saving $337 of her monthly pay of $2083, which is 16.2% of her income. That only leaves about $1750 for all her monthly expenses! For this exercise, we assumed that her savings account had no rate of return. Now, let’s say that Jenny knew a little more about investing, so she set up a brokerage account. She invested in a decent balanced mutual fund and was able to generate a return of 6% over those 13 years. With this plan, Jenny was able to reduce the amount she needed to save monthly to $229 per month (in the first year), or about 11% of her salary. That is much better even though it still only leaves about $1850 per month for expenses. Is there a better way for Jenny to save? As it turns out, Jenny is eligible for her company’s 401(k) program, and the company matches 50% up to the participant’s first 6% contributed. If Jenny takes advantage of this 401(k) match, she only has to put in about 8% of her salary, or $167 per month (in the first year), to reach her goal! This leaves Jenny with $1917 per month to cover her expenses, or $167 more than just putting the money into a savings account.